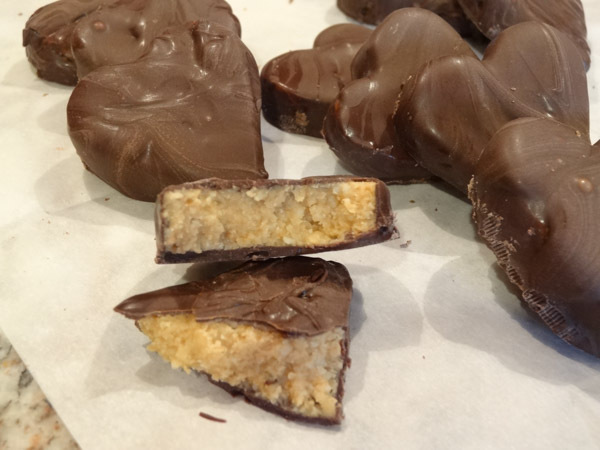 This homemade peanut butter hearts recipe consists of just a few ingredients and taste delicious. Creamy peanut butter, powdered sugar, vanilla, and melted butter are the key ingredients to these peanut butter hearts. 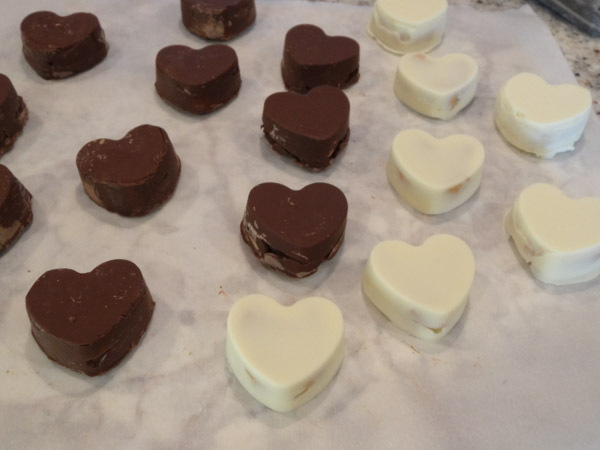 You can dip these peanut butter hearts in your choice of white chocolate, milk chocolate, or dark chocolate. What is your favorite candy bar? I love Reese’s peanut butter cups. This has been one of my favorite candies for a long time. I’m super excited to have a recipe that taste just as great as the store bought version. 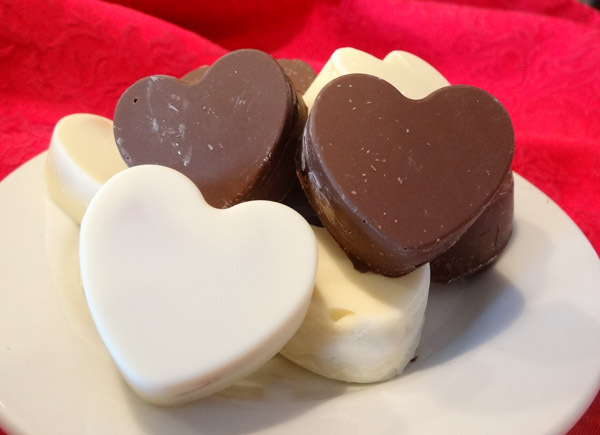 I made these candies in a silicone heart mold, as well as dipped the hearts in chocolate. I found both have pros and cons and will share my tips and blunders along the way. The first thing I wanted to share with you is make sure you use melting wafers and not baking chips. I tried both and the consistency of melted baking chips is way too thick. 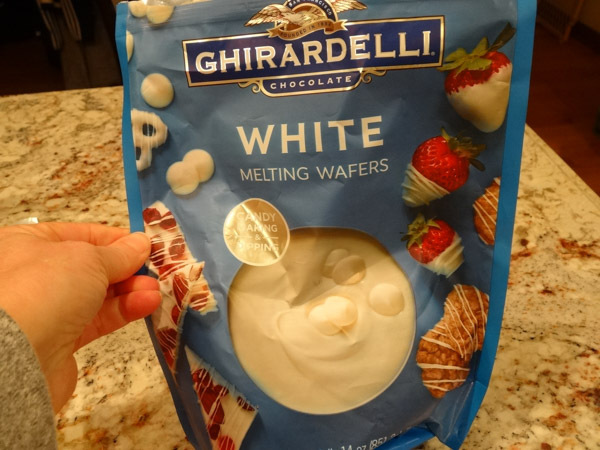 I liked using Ghirardelli Melting Wafers, but I also had success with Candiquik. In large bowl, combine peanut butter, vanilla, and powdered sugar. Add melted butter and stir until well-combined. Making the filling for this recipe is super easy and will take only a few minutes. After you make the filling, you have two options. Option 1: Use parchment paper or silicone baking mat and press peanut butter mixture out into a large rectangle with a 1/4 to 1/2″ thickness. 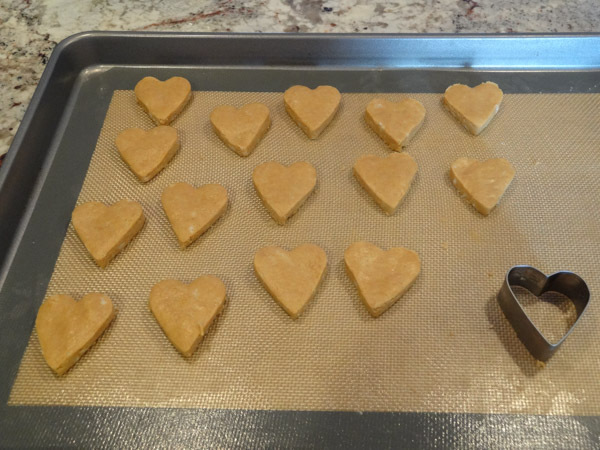 Use cookie cutter in the shape of heart and press into mixture. Keep pressing out mixture and cutting out hearts until you have used up peanut butter filling. Place on pan with parchment paper or silicone baking mat. Place pan in refrigerator or freezer to chill for at least 30 minutes. 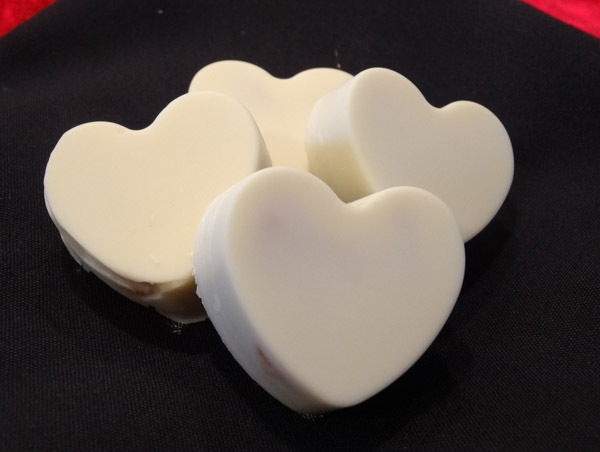 If you stick the peanut butter hearts in warm chocolate, they will lose their shape and become too soft to work with. Heat melting wafers or Candiquik over double boiler or in microwave according to package directions. You want the chocolate liquid in consistency for easier dipping. As soon as it starts to thicken up, you’ll need to reheat. I recommend dipping a few hearts at a time and then reheating chocolate. Place chocolate hearts on parchment paper while waiting for chocolate to set. If you take a look at the picture, the hearts on the far right were dipped in milk chocolate baking chips. As I mentioned earlier, don’t use baking chips. The hearts don’t dip well as it’s too thick and it takes forever to set. I used two forks to dip heart into chocolate and then transfer onto parchment paper. I found using the forks still messy. The forks would get stuck to the chocolate and it was hard to smoothly transition to the wax paper. Once the chocolate has set, you can use a knife to trim off excess chocolate. Spoon enough melted chocolate into each candy mold to cover bottom of heart. I did a row of four at a time and then stuck in the peanut butter filling. Add in teaspoon of melted chocolate at a time until mold is filled and then allow to set completely before removing. As I mentioned earlier, the chocolate gets thick and gunky quickly so you’ll have to keep reheating to make it manageable to work with. So which option did I prefer? I think using the silicone candy mold was a little easier and the overall presentation comes out better. The downside to using the mold: you’ll use a lot more chocolate because of the depth of the mold. I personally found dipping the hearts in the chocolate messier and a little more frustrating. It was difficult trying to transfer the chocolate covered heart onto the wax paper and I couldn’t get a nice, smooth finish. No matter which way you try, I hope you enjoy making these for yourself or that special someone in your life. 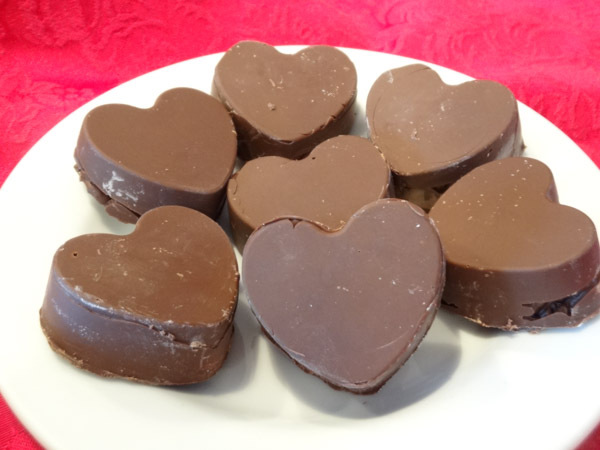 Peanut Butter Hearts Recipe is a homemade recipe with just a few ingredients. A delicious treat for someone special. In large bowl, add in creamy peanut butter, powdered sugar, vanilla, and melted butter. Stir until well-combined. Shape peanut butter filling into small, round balls. Slightly flatten making sure thickness of filling does not exceed depth of mold. 2. 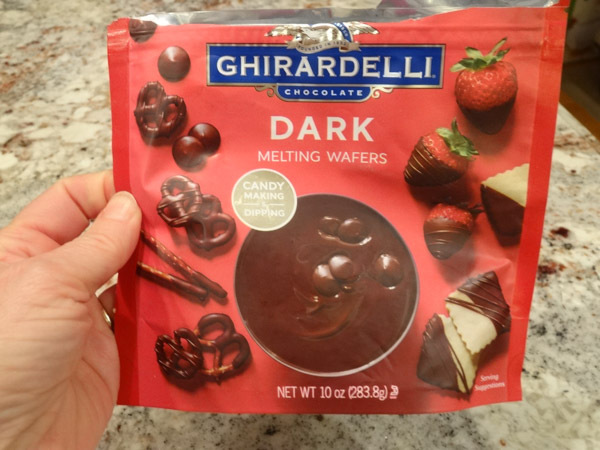 Heat melting wafers over double boiler or in small bowl in microwave according to package directions. 3. Use long handled teaspoon to spoon enough chocolate into each heart to cover bottom of mold. 4. Add peanut butter filling and then spoon chocolate on top of filling until chocolate is even with rim of mold. 5. Continue to reheat chocolate as needed and work in small sections to prevent chocolate from setting too quickly. 6. Once chocolate has completely set, remove candy from mold. 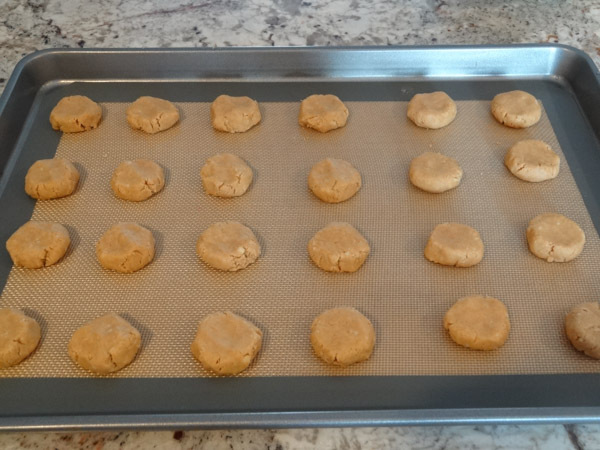 Place peanut butter filling on silicone baking mat or parchment paper. 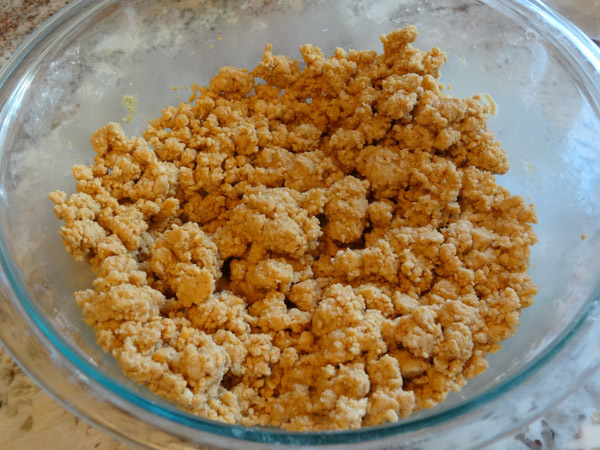 Press peanut butter filling into large rectangle shape 1/4 to 1/2″ thickness. 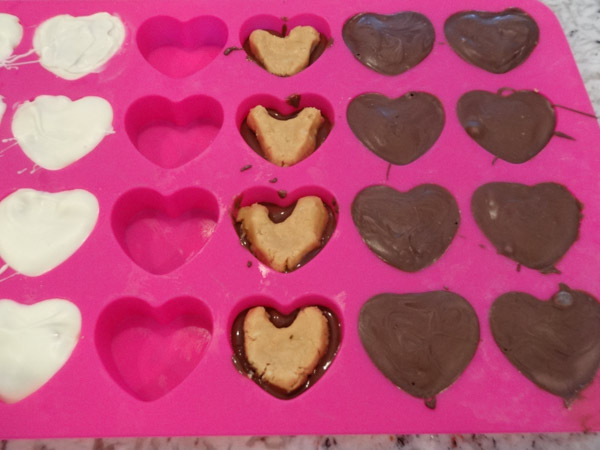 Press heart shaped cookie cutter repeatedly into mixture. 2. 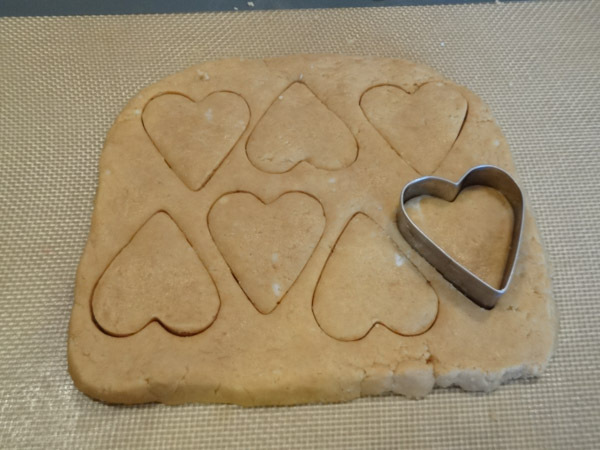 Place heart shaped cut outs on parchment or silicone lined pan. 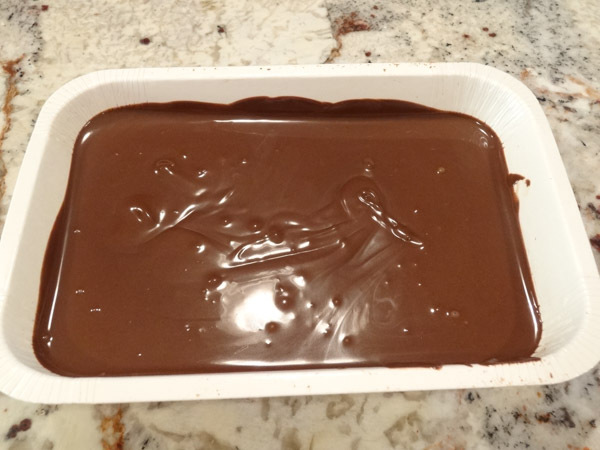 Place pan in refrigerator or freezer for at least 30 minutes before dipping into melted chocolate. 3. Heat melting wafers over double boiler or in small bowl in microwave according to package directions. 4. 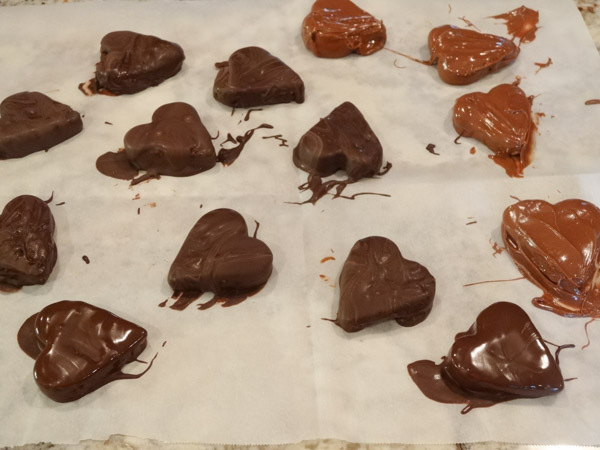 Place chilled peanut butter hearts into melted chocolate and carefully transfer to wax paper to set. Trim excess edges as needed with sharp knife once set.